A pervert sexually assaulted a mother in the Lazy River rapids at Blackpool’s Sandcastle water park while her four-year-old daughter played nearby. Illegal immigrant Sandaap Singh went on the run for two years after the attack on the 26-year-old woman. 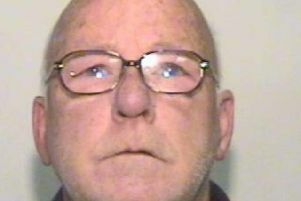 Blackpool Crown Court heard he started to chat to the woman before swimming underwater and groping her. Singh, who works as a gardener, has lived in the UK illegall for the last six years. Singh of Victoria Road, Oldbury, West Midlands asmitted sexually assaulting the woman at the seafront attraction. The court heard the incidents happened two years ago and he had been on the run from police bail ever since. Prosecutor Phillipa Jones said the attack was aggravated in nature because the woman actually had her four year old daughter floating nearby using a rubber ring. Singh was jailed for 14 days for failing to answer bail and he was sent to Preston Crown Court for sentencing.